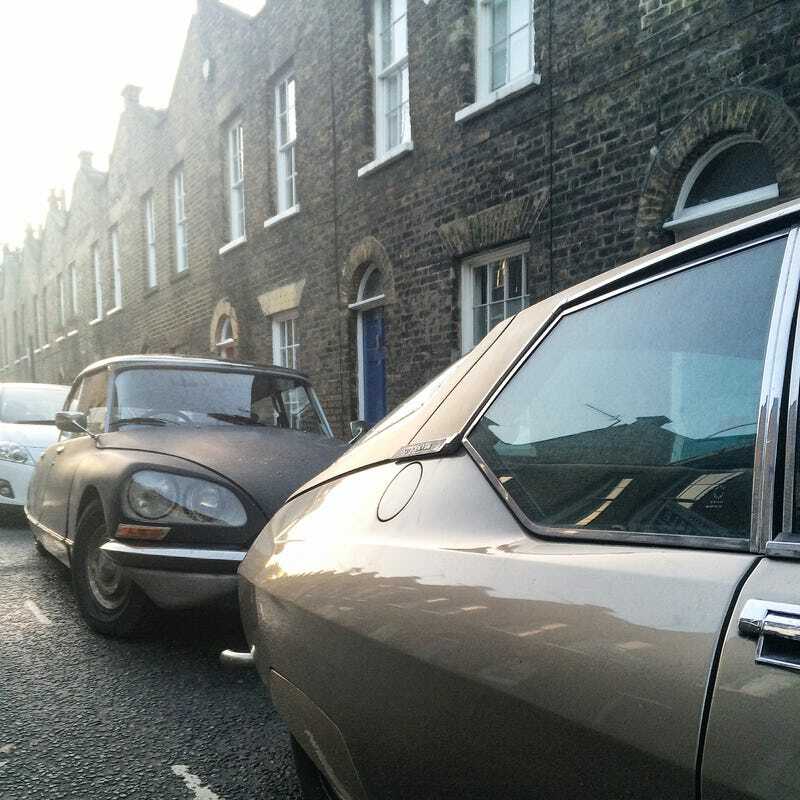 The hindquarters of an SM with a DS behind on Roupell St, London UK. Wagenfeld was an industrial designer who was part of the Bauhaus movement. His philosophy was that everything had to have a purpose, and that the beauty in the object was measured in its effectiveness. But there are moments in all disciplines of design where an object is produced purely with function in mind, but is aesthetically pleasing by coincidence. The most modern example of this philosophy we can think of is a fighter jet. Consider the F/A-18 Super Hornet in the photo above. We’re stirred by it. It is aggressive and angular, a silhouette of ultimate speed and power. Yet Fighter Jets are not designed with visual aesthetics in mind, they’re designed to intercept enemy warplanes or ground targets and obliterate them. There is no feature on an F/A-18 that has been included to make it look good. Every angle, every fold, every duct and bulge serves a purpose. Nothing is surplus. They are as utilitarian as they are deadly, and yet they are beautiful-in the same way a great white shark might be. Coincidentally, Robert Opron had studied to be an architect but by chance happened to land a job as a designer at French automaker Simca, which was later absorbed by the Renault Group. Opron of course penned, among other cars, the iconic Citroen SM. The SM is a beautiful object in any realm. However it is important to remember, that the SM is the result of a design brief that called for function over form. The requirement was simple, summed up perfectly by Citroen aficionado Alex Roy in this video. Opron had defied all automotive design convention at the time, forgoing the wide hips, flared wheelarches and aggressive stance of contemporary GT cars, creating a tapering body whose front track was wider than the rear and sported a Kammtail, something not generally seen outside LeMans style racing. The SM was designed in the wind tunnel. Its form results from a need to cut through the air with minimum drag. If its so functional, why then is it so pleasing to look at it? Our concepts of beauty are inherently formed by our relationship with the natural world. Attributes we consider aesthetically pleasing are almost always borne out of function. The common garden rose is not red for our viewing pleasure, this colour attracts bees and other insects which will assist in the pollination process. The image above is one we see reblogged often, the comparison of a B-2 Spirit Stealth Bomber and a Peregrine Falcon in flight. What it really illustrates is that, despite all our technological advancement, we often find that the natural world has already come up with the most efficient solution. So if its so unconventional, why do we hold it in such high regard? Perhaps the appeal of the SM is something instinctive, an inherent in-built human appreciation of that which is born from necessity.